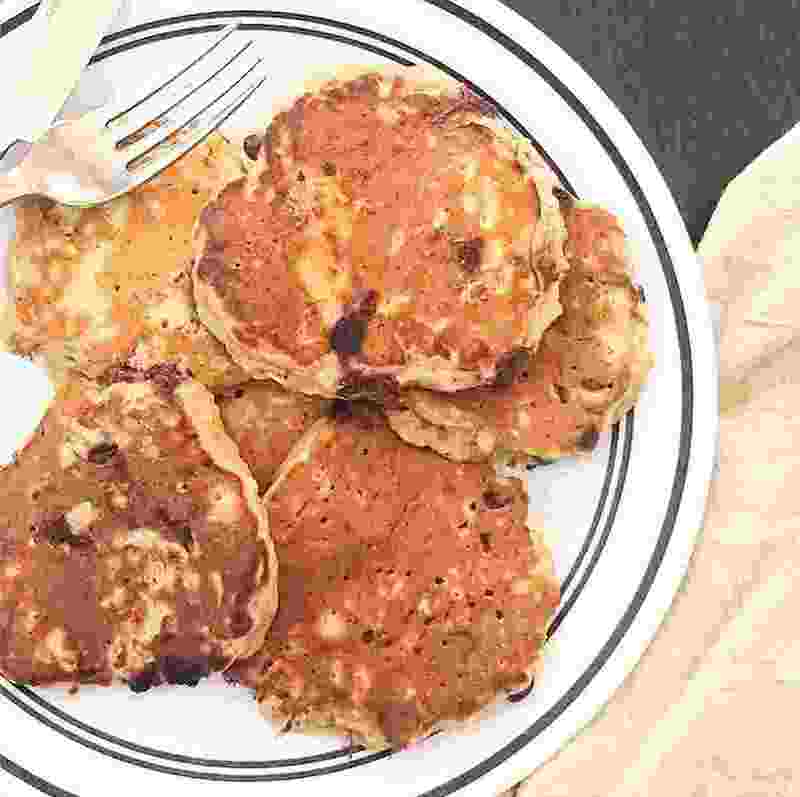 We basically just call these banana pancakes at our house, but now that I think about it they do indeed taste like chocolate chip oatmeal cookies! And for breakfast? Even better. I don’t remember where I stumbled across this recipe but I’m so very grateful I did. They take less than five minutes to whip up and Jack loves them. And did I mention they’re vegan? We found that this makes the perfect amount for the two of us. And we don’t need any maple syrup, either! I also use a real egg if I have it on hand, which in these pregnant days, I do.